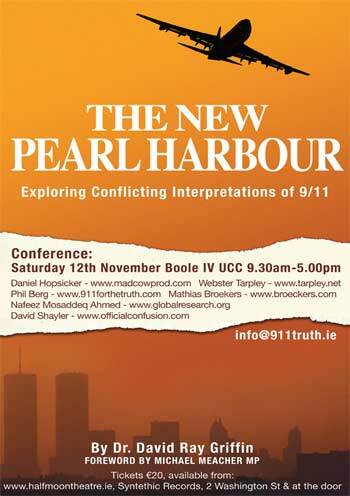 Even after four years, controversy over the events of 9/11 continues to surface in the news. We recently witnessed the honest questioning of the official account by a FDNY Muslim chaplain which gave rise to a storm of intolerance and deflection of any actual and legitimate inquiry into the official account of the attacks. Even more recent was the refusal by the CIA Director, Porter Goss, to investigate people within the agency who played key roles and should have acted on important information but didnâ€™t. It's been a while since we have had an open thread, what is new? Anyone get a copy of the Griffin speech in NY last weekend? How about the new advertisements for 'The Boondocks'? 911busters.com has posted a 36 minute long video of the event held in Washington D.C. July 22nd through the 24th, 2005. You can find the download on their site here. The government lied about 9/11. may be worth checking out.. it premiers November 6th..
Sure, everyone remembers what happened in New York City on Sept. 11, 2001, but who recalls the date of the first attack on the World Trade Center? Almost no one, in fact. For the record, the center was bombed on Feb. 26, 1993, at 12:18 p.m. Six people were killed and about a thousand more wounded. Yesterday, some of the people who have that date etched in their brain forever talked about a horrific event, about narrow stairwells, the lack of safety lights in them, and the chaos and confusion that ensued that day. Staff writers Robert E. Pierre and Hamil Harris report today in the Metro section of the Washington Post on Louis "Farrakhan's Message of Defiance and Unity"* in his march planned for tomorrow in Washington, D.C., commemorating the 10th anniversary of the Million Man March. This event will be held at the Lebanese Community Mosque, 60, Port Royal Ave., Montreal at 7:45 on Saturday, October 15th, 2005. It will feature an in-depth exposure of the lies behind 9/11, and a detailed examination of Canada's involvement and importance. The danger posed to human rights, the impending pandemic are among issues that will also be discussed. 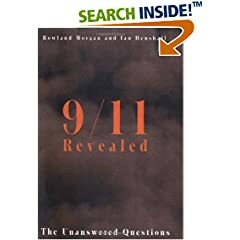 A straightforward, scholarly written, even handed, well researched and logically presented presentation of the many anomalys surrounding the 9/11 atrocities. The authors keep their terms of reference very tight and do not refer to the increasingly awkward questions like: Why do the mainstream media not carry this story?